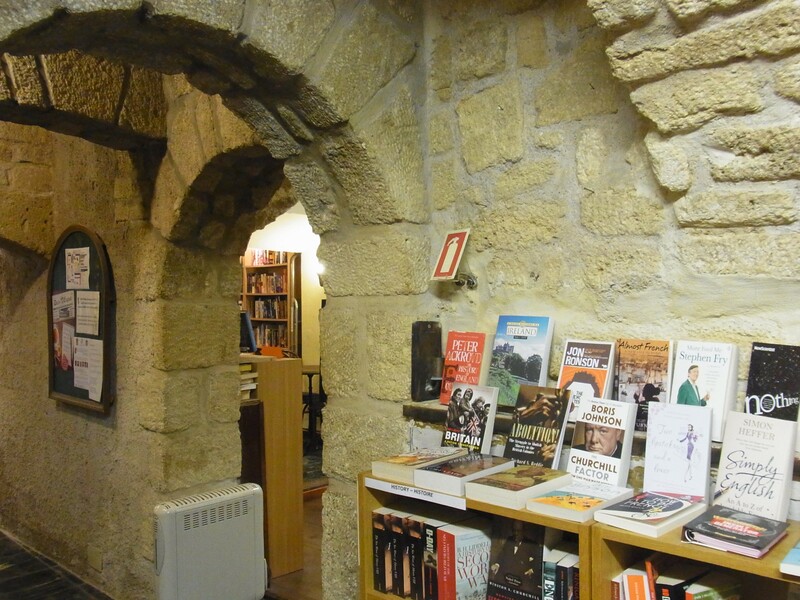 Today, I’m taking you for a tour of an English-specialized bookshop, in Montpellier, France. I went there on holidays this week, and couldn’t pass by this place without entering. I didn’t regret it, at all. English-language bookshops are too rare in my country, so I was really thrilled to find out that, in this lovely southern city, I could find a gem like that. They say a picture is worth a thousand words sometimes, so, let’s go on tour! The lovely street where “Le Bookshop” is located. 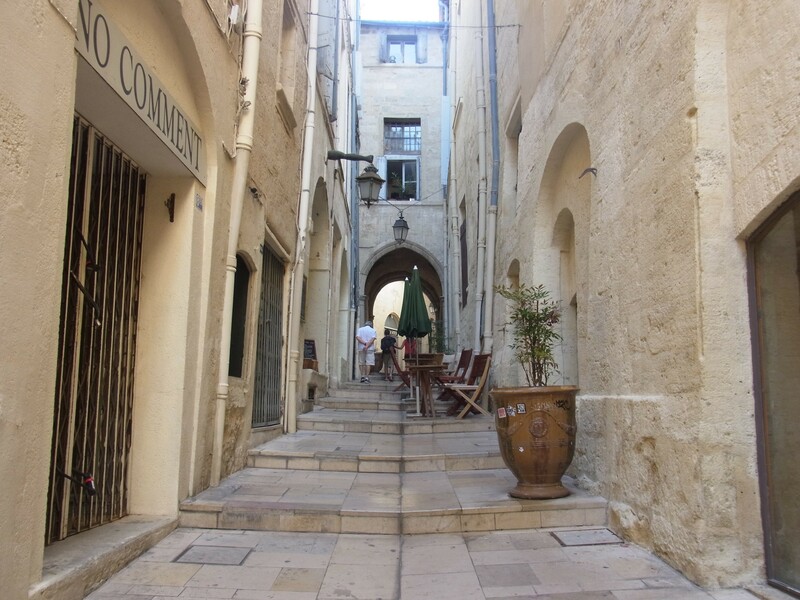 Right in the historical center of Montpellier, but yet away from the swarm of the tourists. 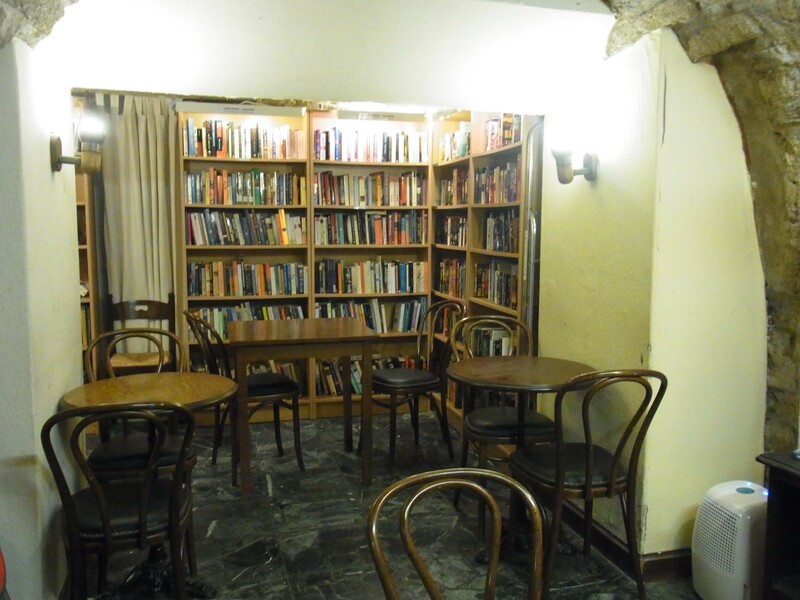 This atypical place takes you downstairs for more surprises, and more books. 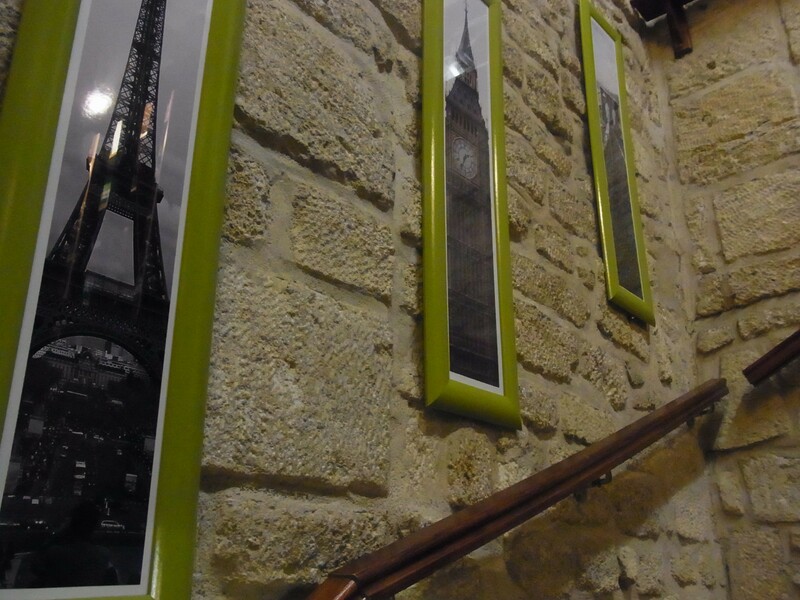 But first…did you check out these awesome walls?! Welcome to the YA section of the bookshop, what you were all waiting for. 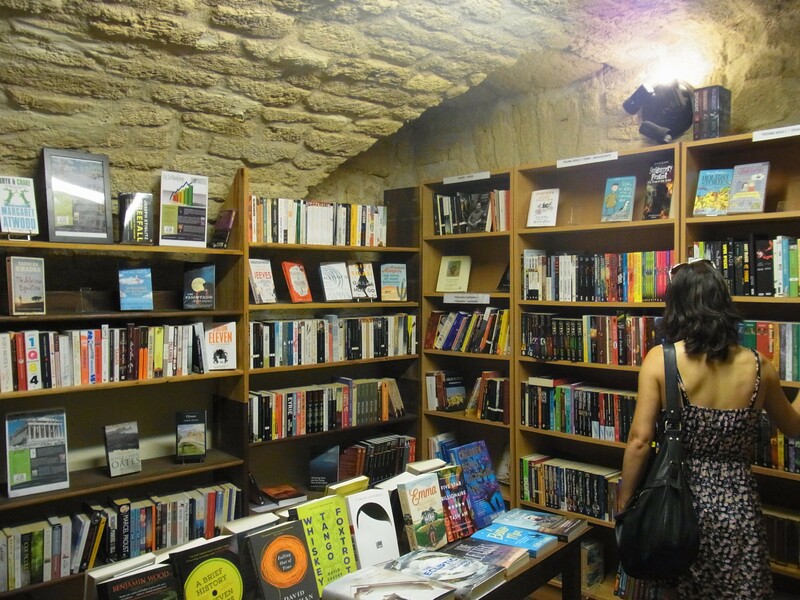 Beautiful shelves, and still those amazing stone walls, making us feel like we’re in a whole other universe. Chairs and tables, to rest and chill out with a book, or sit across someone and talk about a story that left a mark. Another look at this bookshop’s setting. 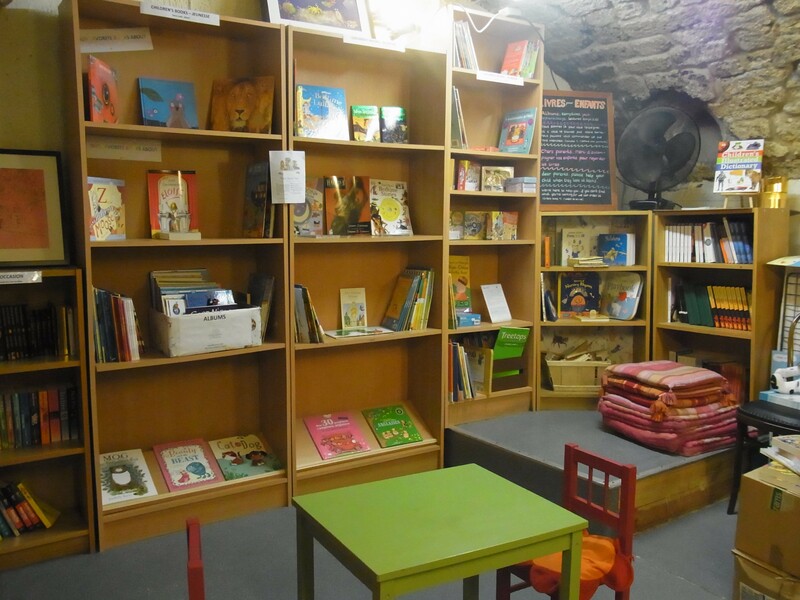 Peaceful place for children to start reading ! What a wonderful idea! I love this! That looks like an awesome bookstore! Sure does beat the Barnes and Noble here in the US! I’d love to see more of this type of post! What a wonderful idea! I’d love to see more posts like this! That’s a beautiful bookstore. I wish I could visit it! This is going to be such a cool series, Marie! And I would totally visit this bookshop. I mean what bookstore would I not? When there’s books there are readers. 😉 But I really love the look of this one, with the stone (I think it’s stone anyway) pillars and everything. Thank you for sharing with us! This bookshop looks so amazing! These pictures are lovely, i’d love to see more of this on your blog! Thanks so much for sharing these gorgeous photos and part of your holiday with us. I love the older look to the bookshop and the cosiness of it all. I am looking forward to more of these posts in the future!